Siglent SDG1010 - Arbitrary waveform function generator with 2 output channels and 10 MHz max. output frequency. 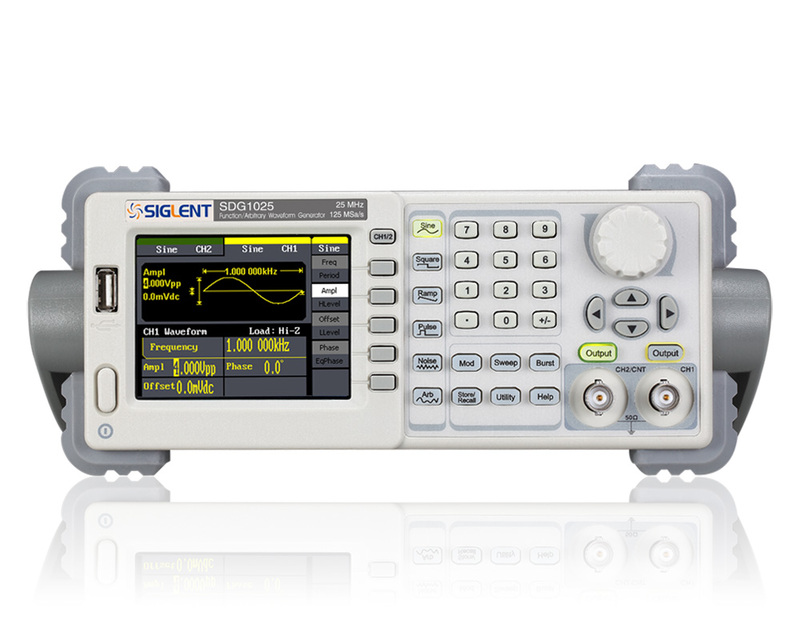 Siglent SDG1025 - Arbitrary waveform function generator with 2 output channels and 25 MHz max. output frequency. Siglent SDG1050 - Arbitrary waveform function generator with 2 output channels and 50 MHz max. output frequency.